I always get excited when I discover an online shop that I really like. With so many places to spend your money online today, I like knowing another blogger likes their merchandise. umbra sells modern, well designed products for the home at affordable prices. From clocks to bath accessories, Umbra has something for everyone. And even Oprah likes them! For my review I was sent this super sleekly designed Avocado Dish Rack. I love kitchen items, so this is something I really wanted. Most dish racks are unattractive, but not this one. Sitting in the sink or on the counter, I love it's look and color. It has a stainless steel band around it that keeps dishes in place. It is also BPA free, which is something I look for in products whenever available. This is one dish rack that you will want to leave out to be seen. It comes in two colors, this great avocado green, or a cheerful bright red. I was also sent this cute little Octopus Ring Holder. It is made of metal and has a chrome finish. It's a great place to keep your ring collection, and can hold lots of them. It's a sweet little gift for any occasion. The prices at Umbra are affordable enough to get a gift for someone and a little something for yourself. They have a great Sale Section as well. umbra has many categories of their products to shop from, and most of their items are very affordable. Great design at a great price. 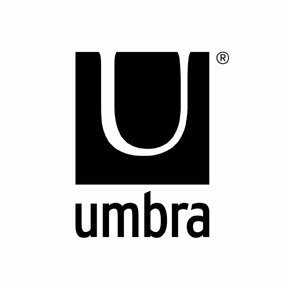 Visit their website at umbra.com to see their entire line of products. You can also find them on Facebook and Twitter. *I was not paid or compensated for this post. The opinions in this post are 100% mine and may vary from other opinions. I was provided for free the items mentioned in this post for my review. i love the octopus ring holder very neat!